The New York Architects’ Regatta Challenge is an annual sailing regatta held during the early fall season. The challenge enables New York Architecture and Design practitioners to support the efforts of charitable enterprises focused on providing waterfront access and educational experiences to a wider audience of various socioeconomic backgrounds. 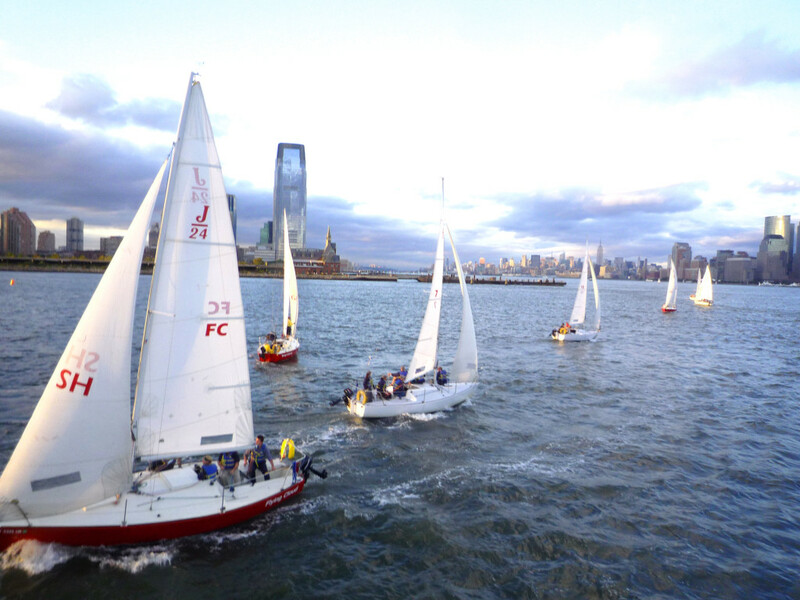 The regatta is a friendly competition that provides competitors and spectators an exhilarating experience of New York and the Harbor from an exciting point of view. New York Architects’ Regatta Challenge invites you to save the date of our annual sailing race, held on the second Thursday of September this year. All landlubbers can watch the race from the shores of the Hudson River off lower Manhattan. There will be events prior to and following the race, the ‘Skipper’s Meeting’ & Cocktail Party and post-race party. Please visit our Facebook page and website to stay up to date with event details and announcements. Join us as team, you’ll have a chance at winning the bronze and titanium perpetual trophy! An official notice of the regatta challenge will be announced a month prior to race date. We truly appreciate the efforts of competitors to commit to the event as early as possible this year, as we expect to “sell out” the available boats. You can find boat registration and all other forms pertaining to the regatta here, in The Foundations tab. Please contact us with your expression of interest, correction of contact details, names of other firms that you know might like to be involved and any questions. To donate please make checks, in any amount, to The New York Architects Regatta Foundation LTD and mail to our address. We also accept Paypal using our email address!